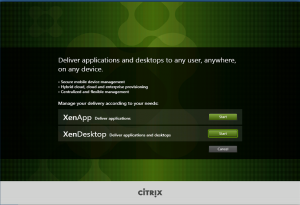 As announced last month, Citrix have now released their latest versions of XenApp and XenDesktop – version 7.5. This is the first in a series of blog posts looking at the new version. Technology wise, this isn’t a huge list of changes from the 7.1 release and it definitely shows why it’s only a point-release under 7.x. 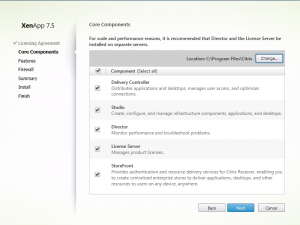 Of course, if you are comparing to XenApp 6.5, then there are quite a few differences, the main one being the new FMA architecture. 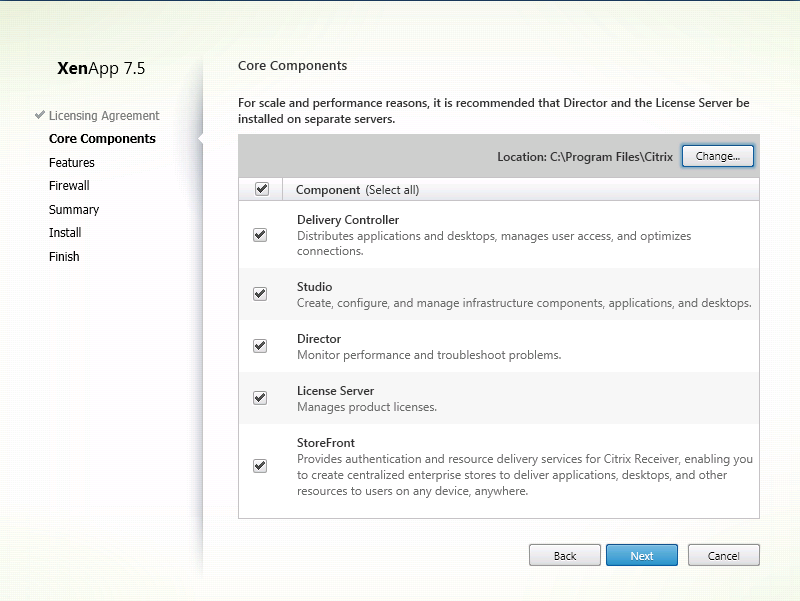 Citrix have added a sweetener for Platinum users who might feel short changed by the big list of features that are not present in XenApp 7.5 compared to 6.5. 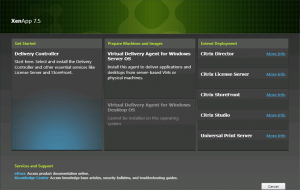 Running the autorun from the installation ISO now provides an initial choice. Do you want the red pill or blue pill? 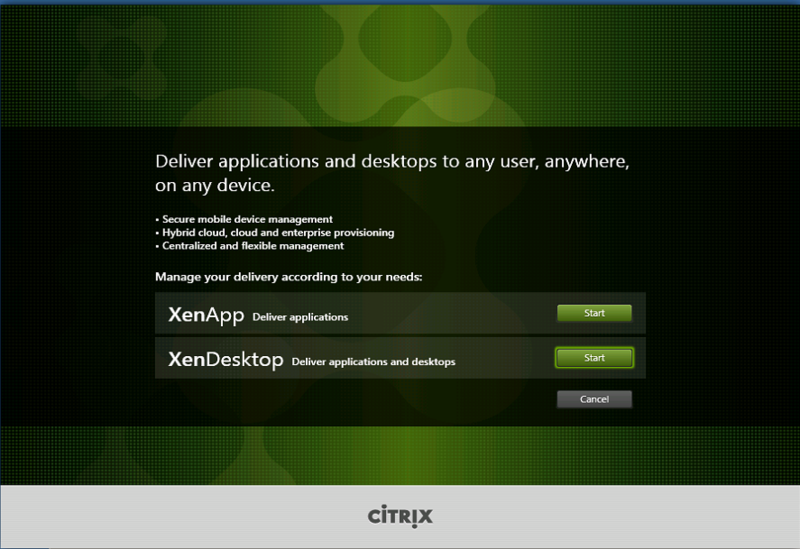 In this case, I’ve followed the white rabbit, and chosen XenApp. 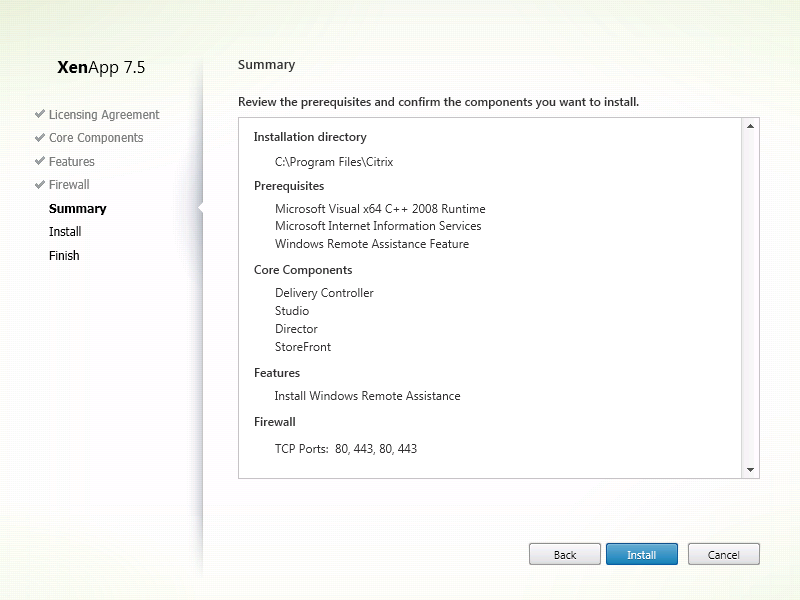 I now get to choose which of the XenApp components I need to install. As I’m building the delivery controller first, I’ll choose the left-hand item. I’ll revisit the VDA installation in a future post. 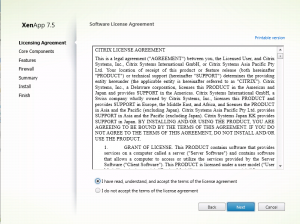 Of course what follows is the obligatory EULA. 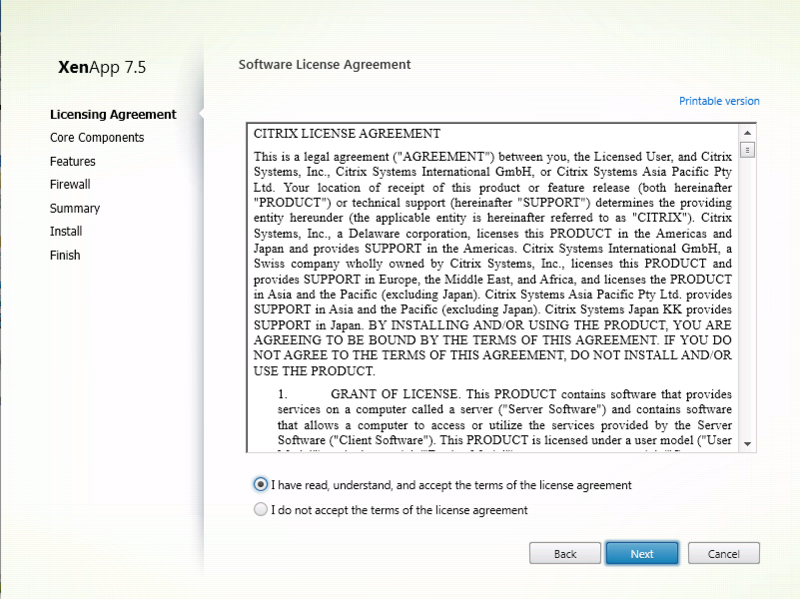 At least the installer doesn’t force you to scroll to the bottom! 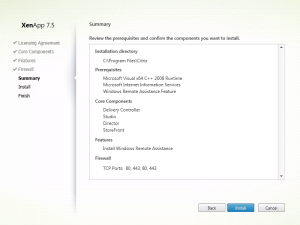 We can now choose which of the “core” components we want to install. In larger deployments, you’d dedicated servers to each of these roles, however as this is just a lab setup, I’ll leave everything selected for now. A couple of optional features are given. 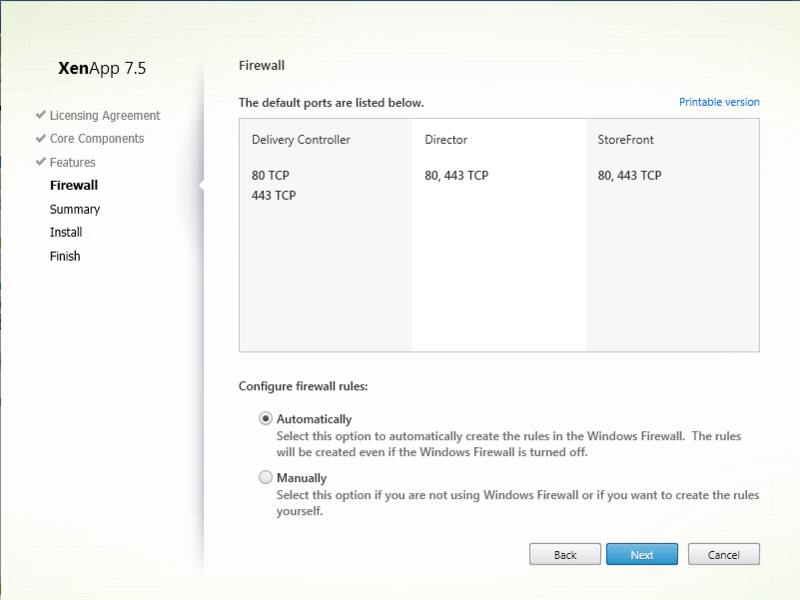 The XenApp installer spots I have the Windows Firewall enabled, and allows me to automatically configure the required ports. The summary of what’s going to be installed, including all the pre-requisites. Time to hit “Install” and go and make a cuppa. 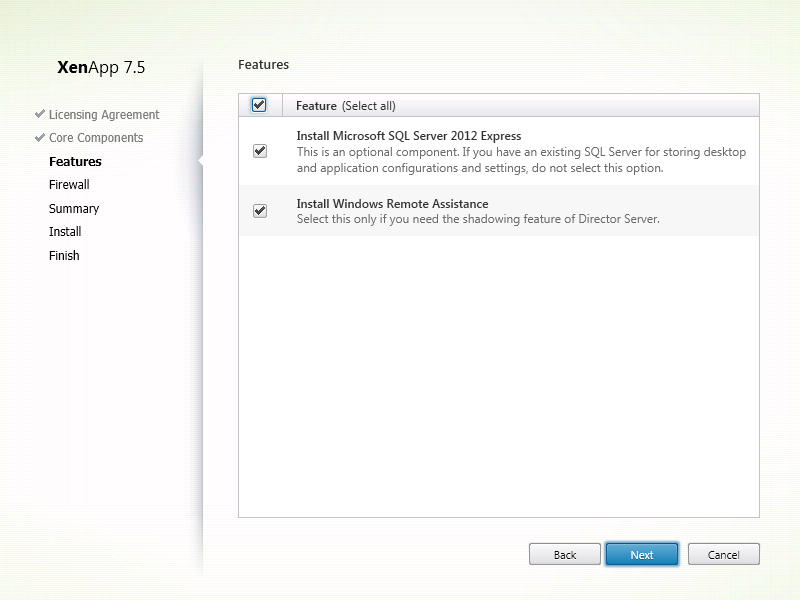 In part two, I’ll configure my first XenApp 7.5 site and create the machine catalogues and delivery groups required to assign applications to users. 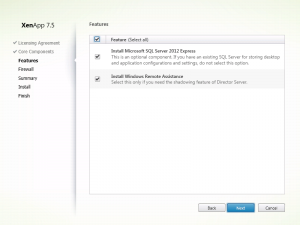 In a future part, I’ll also examine the AWS integration now provided in MCS.